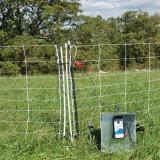 For medium-length temporary and semi-permanent fences for livestock and wildlife or medium-length permanent fences for cattle and horses use this 2 joule unit. Energizer Kits: HotShock 20 Plug-in Kit and HotShock 20 Battery Kit are available to help simplify your purchasing decision. 12v DC draw: 32-196 mA/hr. With this energizer a 12v 100 ampere hour, deep cycle battery will last approximately 13 days* on a weedy fence or 78 days* on a clean fence. *Assumes being drawn down to 40% between recharges. Should power 2.5 miles of 3 strand cattle fence, 1 mile of a 6 strand sheep fence, 16 of the 164' sheep/goat nets and 6-8 of the 164' poultry nets. All distances are dependent on amount of grass/weed load on the fence. Requires 6' of ground rod in the ground (available under accessories tab above). Use a 20-40 watt solar panel. Versatile. Can be used as a plug-in energizer or as a battery energizer. Adapts from one style to the other in a few seconds. Can be moved around easily. Low cost. Can be mounted either inside or outside of a building, but not where there is risk of fire. The energizer must be mounted vertically. Protect the energizer from direct rainfall. This energizer is built like a TANK. The energizer has been through the elements and keeps on ticking. This unit maintains a excellent voltage over small or large areas. 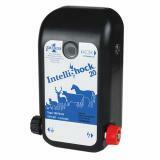 We use ours to keep in sheep, chickens and cows (2500 ft) and is simply an excellent unit. Be sure to have at least 3-6' of ground rod, a longer ground rod 6-8' is better but 3-6' works great too. This is the only energizer I will buy going forward. Very pleased! Bought this charger to replace my old 42B. Mounted the new charger to the old solar base unit with a 12v battery, and it works great. It fully lights up my 7000v line test meter. 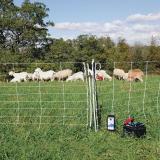 I have it attached to a single line 9 gauge aluminum wire, and it is keeping my cattle where they are supposed to be. Fencer is fairly simple to hook up and works well. Although instructions were lacking in designating how far to place 2 ground rods apart. The insulated wire included for the ground wire and fencer connection is stranded and of poor quality. It can break fairly easily when trying to strip the insulation off and manipulate it. They should have used solid wire, as I bought at my local Theisens and was much more robust to work with. Also a longer length of insulated wire should have been included in the kit, as you use most of it for placing the ground rods the minimum 33 ft away from the building and don't have much left to hook up the fencer hot wire with. 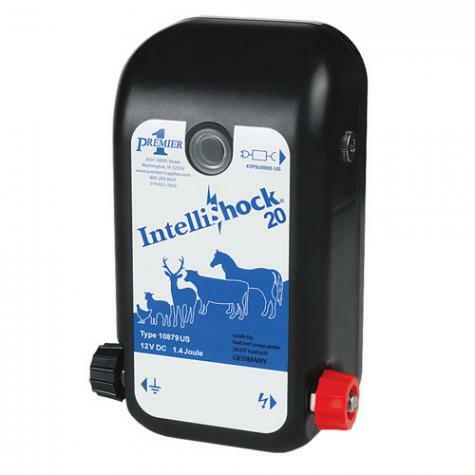 Bought this to complement the IntelliShock 10 I already own. Was a direct replacement in all regards for me, just with 2x the joule rating. No complaints, the LEDs are not nearly as bright as the prior unit which for me is a bit discouraging, but not enough to negatively impact my rating.